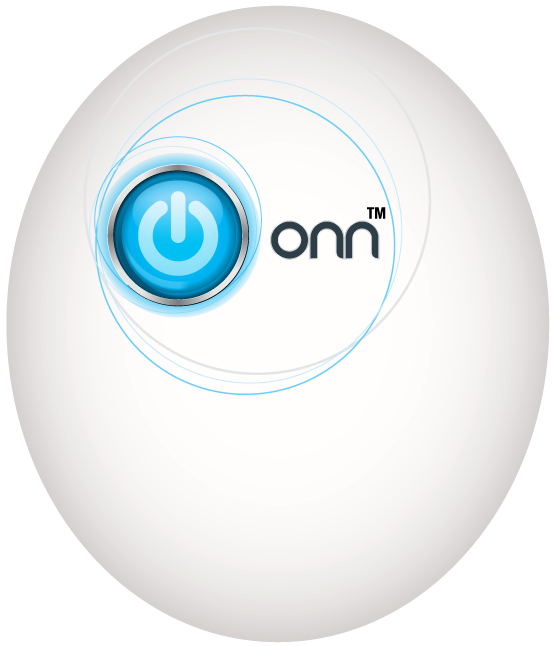 How do I manually enter codes for my ONN Universal Remote? Locate the Remote Code for your device here. Manually turn on the device you wish to control. Press and hold the SETUP button until the red indicator light stays on (approximately 4 seconds) and then release the SETUP button. Press and release the desired device button on the remote (TV, DVD, SAT,AUX). The red indicator will blink once and then remain on. Enter the first 4-digit code previously found in the code list. Point the remote at the device. Press the POWER button, if the device turns off, no further programming is required. If the device does not turn off, return to step 3 and use the next code found in the code list. Repeat this process for each device (for example TV, DVD, SAT, AUX). How do I perform an Auto Code Search for my ONN Universal remote? Press and hold the SETUP button until the red indicator light stays on (approximately 4 seconds) and then release the button. Note: Once the light is on solid, immediately release the Setup button. Press and release the desired device button on the remote (TV, DVD, SAT, AUX). The red indicator will blink once and then remain on. Note: ​The indicator blink referenced in this step will occur immediately when pressing down the button. Point the remote at the device and press and release the POWER button (for TV) or PLAY button (for DVD, VCR, etc.) to start the search. The red indicator will flash (approximately every 2 seconds) as the remote searches. Note:The remote must be pointed at the device for the duration of this search. Place your finger on the #1 button so you are prepared to lock-in the code. When the device shuts off or begins playing, press the #1 button to lock- in the code. The red indicator light will turn off. (You have approximately two seconds after the device shuts off or begins playing to lock-in the code.) Note: The remote is searching through all available codes in its database and any other devices (DVD/Blu-Ray Players, VCRs, etc.) may react while performing this step. Do not press the #1 key until specifically the desired device turns off or begins playing. For example: If you are trying to program your TV, while the remote is moving through its code list your DVD may turn on/off. Do not press the #1 key until the TV reacts. Point the remote at the device and check to see if the remote operates the device as desired. If it does, no further programming is required for that device. If it does not, return to step 2 and start the auto search again. Note: The remote will start again from the last code it tried when locking in, so if you need to start the search again, it will pick up where it last left off. My remote will control the basic functions of my TV but will not do the other functions of my old remote control. How do I fix this? Sometimes the first code that "works" with your device may operate only a few functions of your device. there may be another code in the code list that performs more functions. Try other codes from the code list for more functionality. I have tried all the codes for my device, as well as code search and still cannot get the remote to operate my device. What do I do? Universal remote codes change every year depending on the most popular models on the market. If you have tried the codes listed on our site and "code search" and have been unable to lock-in a code for your device, this means a code for your model is not available in this remote.